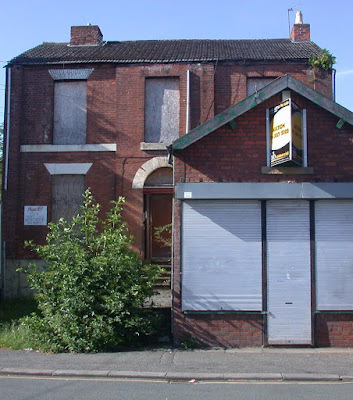 Now you may well ponder on the missing pond and clay pipe which were once on Beech Road, as was this house which was home to Mr Daniel Sharpe who lived here from 1841 and maybe earlier. He was a wine merchant and may have moved into the property with his new wife after their marriage in 1833. Sadly she died in 1846 leaving him a widow until his own death in 1861. Although that is not strictly so, because in 1852, he married his servant Ann Bailey, who was much younger than him. The marriage seemed not to be successful ,for nine years later she is no longer with him, and in his will made shortly before he died, having left her nothing he adds a codicil and awards her a small sum of money. It is a story I will return, to on our walk, and so if you want to know about Mr Sharpe, the pond and the clay pipe which incidentally was found in our front garden, then you had best join us on Sunday, April 29th at 1.00pm on Chorlton Green beside the Narnia lamp post. So that just leaves me to say that the maximum for the walk is 50 and knowing how popular it will be it is best to book ahead, by contacting peter@pubbooks.co.uk or text 07521557888 leaving your name and the names of the people you will be bringing. 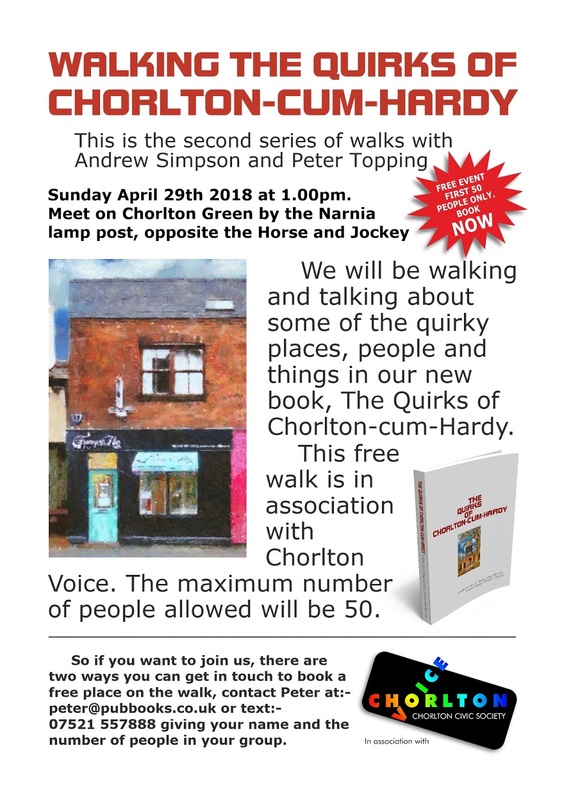 Andrew Simpson & Peter Topping in association with Chorlton Voice.